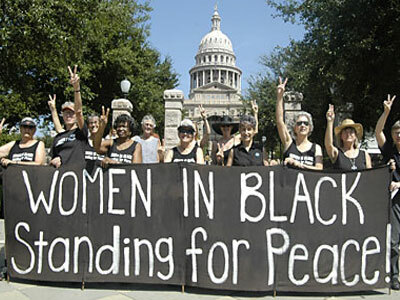 Women in Black is a world-wide network of women committed to peace with justice and actively opposed to injustice, war, militarism and other forms of violence. As women experiencing these things in different ways in different regions of the world, they actively support each other’s movements. The group’s important focus is challenging the militarist policies of our governments. Women in Black is not an organization, but a means of communicating and a formula for action.